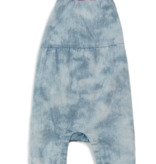 The Lucia Denim Romper is tie dye for! The Hot Pink embellished neckline full length romper snaps completely off at the bottom for easy on and off. 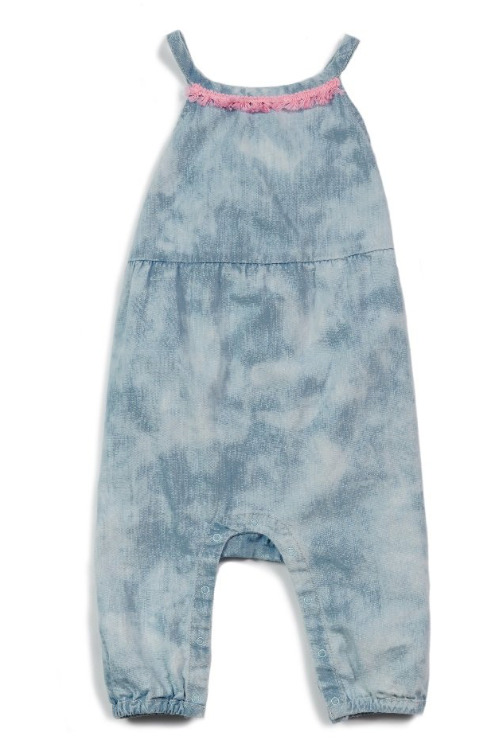 Dress the whole gang in this adorable denim -and don’t forget the Poppy Hat for everyone! Garment/Care Details: 100% Cotton. Machine wash cold with like colors. Do not bleach. Lay flat to dry. Cool iron when needed.